Here are some images from our garden festival event which took place yesterday, despite the relentless rain in the morning. At first we thought we'd have to cancel but then the weather brightened and more and more people came to see art by Clare Jarrett and Katy Armes, and hear writers like Esther Morgan and Kate Swindlehurst read their work, and laugh at Louisa Theobald's routine about gooseberries and allotments and all things horribly green, and listen to the haunting voices of our musicians Kimberley Moore, Anna Mudeka and Phoebe Robinson. More photos and news from the day will be put on our garden page later in the week. In the meantime we'd like to thank everybody who took part, our brilliant performers and volunteers, Kett's Books for their stall, Sarah Long our Chelsea Fringe garden representative, and Val Striker and the Plantation Garden team for all their hard work and support. We are lucky to have two wonderful women artists - Clare Jarrett and Katy Armes - who are creating works for our Chelsea Fringe garden festival at the Plantation Garden this Saturday! We’ve told you a little about Katy in an earlier blog post, so now we’d like to tell you about Clare. 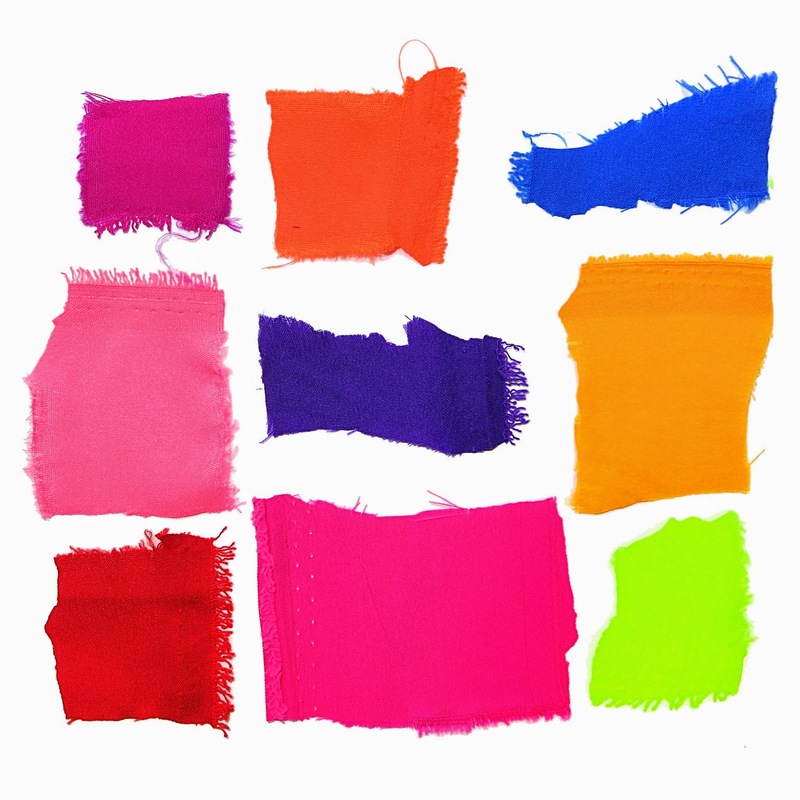 Clare is making a large, colourful site-specific work for the garden. She has also produced some lovely A5 hand printed limited edition prints which will be on sale on the day. The prints cost a very reasonable £5 each and have been produced by Clare to celebrate Words And Women at the Chelsea Fringe 2014! Clare is a writer, visual artist (and beekeeper.) She studied at Chelsea School of Art and the Royal College of Art and subsequently worked as a painter, printmaker, illustrator and lecturer at Chelsea, RCA and Anglia Ruskin. She has exhibited both nationally and internationally including Taiwan, S Korea, Japan, Spain and Poland. Her work is held in various museums and private collections including among others, Museum of London, Usher Gallery, Lincoln, Falmouth Museum Collection and APU. She has won various awards; Miner Kite Drawing Prize, Folio Society Illustration Prize, Malvern Open Drawing. She left London to initiate the BA Illustration course at Norwich School of Art. She has published five children’s books as author/illustrator: her first book Catherine and the Lion won the Mother Goose Award. 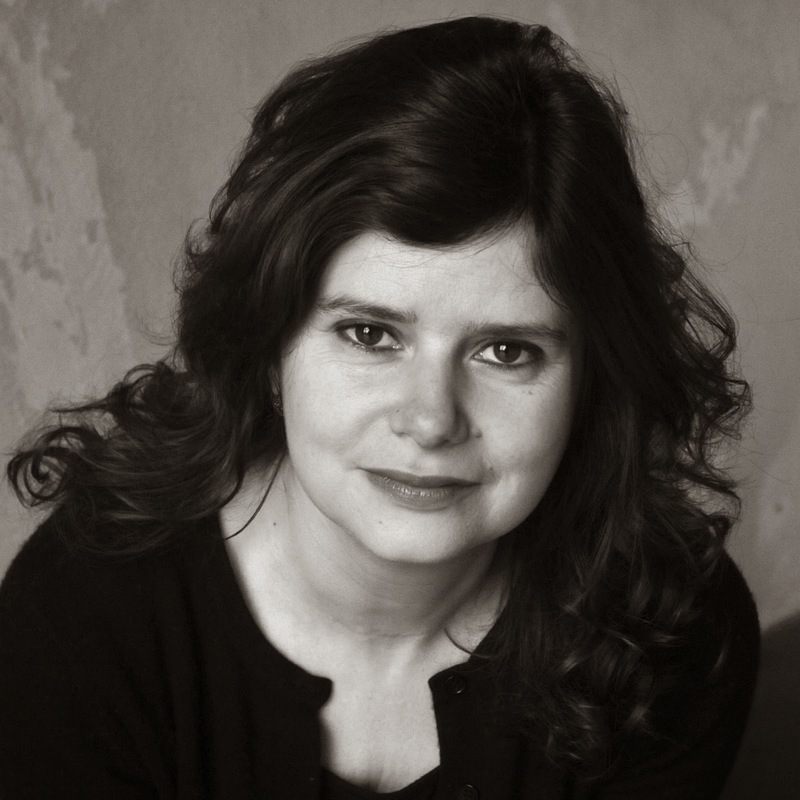 More recently she undertook the MA in Creative Writing at UEA and won an Arts Council Escalator Literature award. In 2012 she was awarded a Hawthornden writing fellowship. Her recent visual art work has been concerned with images of honey bee pollen generated through time on a Scanning Electron Microscope, with support from the John Innes Centre. This work was shown at Cley13, also shortlisted for the Holt Festival Art Prize 2013. Finally - our dedicated garden festival blog page gives directions to the garden, times and our day-long programme. We hope to see you there, and we hope too that it’s a beautiful sunny day! Kimberley Moore and Kett’s Books at Art, Gardens and Words! It’s only three more days to go until our garden festival on the 24th May, and we’re busily arranging this and that. There’s a lot to do! But we have got a wonderful programme of writers and stand-up and musicians and artists lined-up for you. Please see our dedicated blog page for more details. We also have extras like a book stall – more below – and a literary quiz on the theme of gardens where there’s a chance to win a selection of books, including signed books by Margaret Atwood. 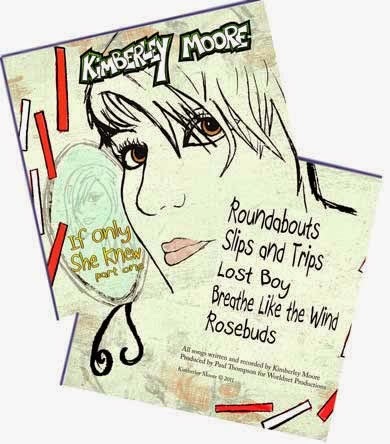 Firstly the wonderful Kimberley Moore will be singing at the festival. Kimberley is a Words And Women regular. She’s a singer-songwriter who originates from Suffolk. With acoustic often confessional, story-like songs, she’s been likened to Joni Mitchell. Then our book stall. Kett’s Books, the Wymondham Community Bookshop, will be selling gardening books for adults and children all day during the festival. Kett’s Books is a great initiative, a bookshop which is run co-operatively and professionally for the benefit of the local community. Please come and support them, and us! Our garden festival – Art, Gardens And Words – is just a week away and now we have our programme finalized we have put it on our dedicated garden page for your information, so you can see who is appearing when. Melinda and Lois will read their writings about nature early in the afternoon. 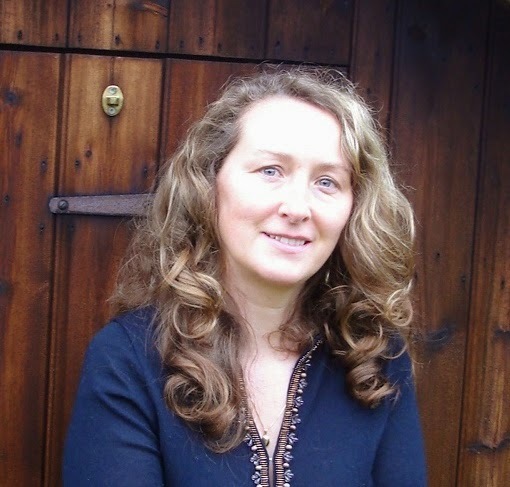 Melinda is an East Anglian writer who is fascinated by connections between historic uses of land, its nature and culture and our relationship with it. Throughout her career as an adviser in agriculture and environment, she worked to create richer landscapes. After winning Country Living's Best Writer Award in 2011, Melinda decided to focus on her creative writing, enrolling on the Wild Writing MA course at Essex University. 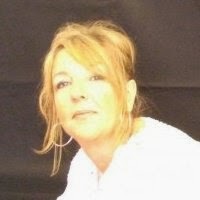 Having written factual environmental articles for magazines and journals, she now writes occasional 'wild notes' for the Wildeasters website, provides creative landscape copy for the Waveney and Blyth Arts forum and has had poems published in a fenland anthology and Earthlines. 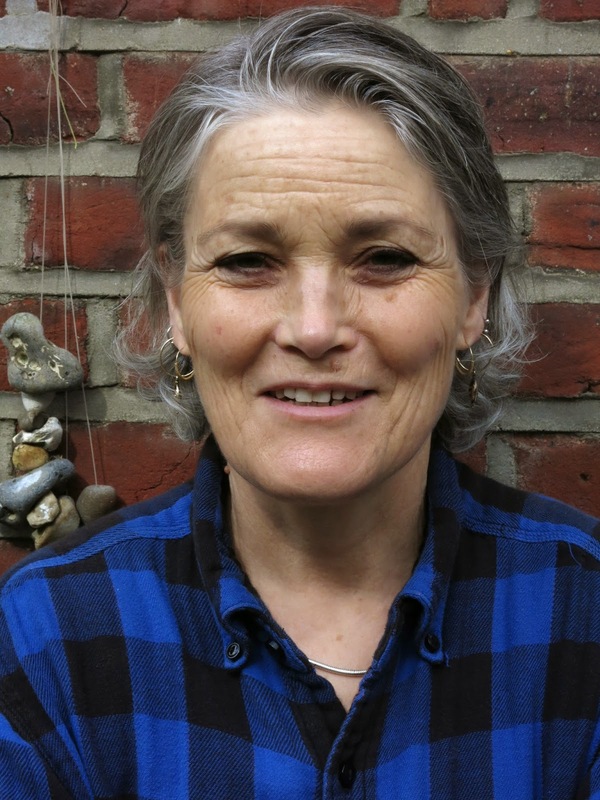 She specialises in nature writing that explores connections to place and time. Lois grew up along the Wash coast and travelled widely, teaching English in university and community writing programmes in the US. Her poems and essays have appeared in many venues, including Verse Daily, New England Review, Antiphon, and Granta. She is busy completing a book of stories, The Invention of Home, from which “The House of Provisions” was awarded a notable essay listing in Best American Essays 2009. She lives in Norfolk, working as a freelance writer and visual artist, and volunteering with ecology and habitat restoration projects. We’re very pleased to announce that the poet Esther Morgan will be reading her work at our garden festival on the 24th May. Esther’s three collections are all published by Bloodaxe Books. Her first, Beyond Calling Distance, won the Aldeburgh Festival First Collection Prize and her third, Grace, was shortlisted for the T. S. Eliot Prize. She took an MA in Creative Writing at UEA and has worked as a freelance editor and writer and was Historic Recordings Editor for the Poetry Archive. She currently lives and works in Norfolk, combining motherhood with communications work for Norfolk Museums Service and various writing projects. To find out more our garden festival please see our dedicated blog page. This is an all day event and will be a lively mix of readings, art, stand-up and music! The wonderful Anna has performed her music at previous Words And Women events, and will be playing at our garden festival on May 24th in the early afternoon. See our dedicated garden page for more details about the festival's location, tickets, artists, writers and performers. Anna moved to Norwich from Zimbabwe over ten years ago. 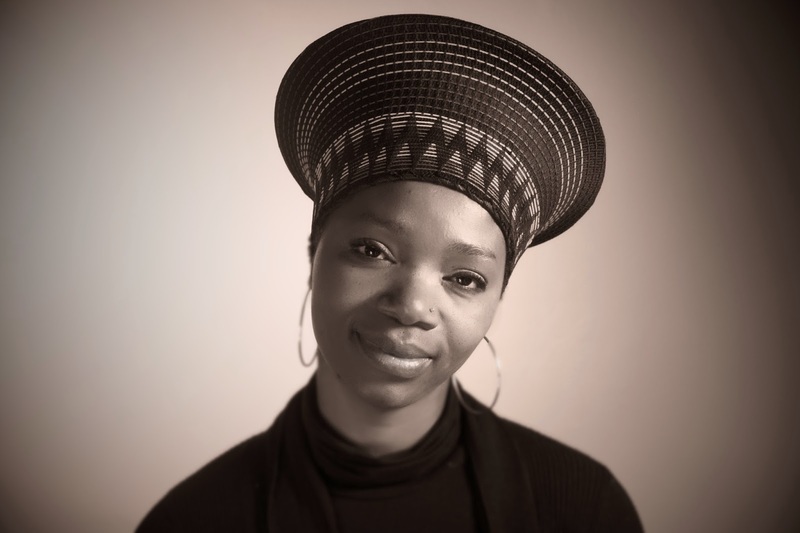 She regularly performs her music in Norwich and also runs Tambai music workshops, where her students can learn about African music, its traditional dance rhythms and culture. Much of Anna’s time is spent raising funds to help improve the education of disadvantaged children in her homeland. She does this through the events that she organizes for her charitable initiative The Mudeka Foundation. One of these events will take place in Southburgh on the 2nd August 2014. The Southburgh Festival is a lively combination of family workshops and music. This year’s music is a combination of Soul, Folk, Reggae, African, Irish, Funk, Klezmer and Acapella. If you’d like to learn more about Anna then please click here, and info about the Southburgh Festival can be found by clicking here. We are lucky to have two wonderful women artists - Katy Armes and Clare Jarrett - who are creating works for our garden festival at the Plantation Garden on the 24th May . Clare is making a large site-specific work and Katy is coming to the garden on the day and responding to the environment by creating some subtle interventions. She will be giving a talk about her work during the festival too. Katy graduated in Fine Art from Norwich University College of the Arts in 2010. 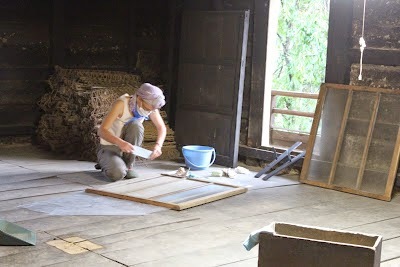 She’s an artist who particularly enjoys working site specifically, often treating the space her work occupies as a material in itself. Whilst her practice employs a variety of media, according to the idea being explored at the time, she often intervenes with what is already there, re-presenting it in a different way. This may make us question the space and what we may normally notice. Recent projects have included the Nakanojo Biennale, Japan in the autumn of 2013, in which Katy was invited to respond to the undisturbed space of an old house in a small mountain village, and 'Here I Am', a residency at the Burning Bush Barn at Rockland St Mary during Lent 2014. And more information about our garden festival can be found on our dedicated blog page. Our splendid anthology Words And Women: One has been shortlisted in the Best Anthology category for the 2014 Saboteur Awards. We’re very proud and excited but in order to win the category we need your votes! To help us win please click and vote here. With many many thanks! 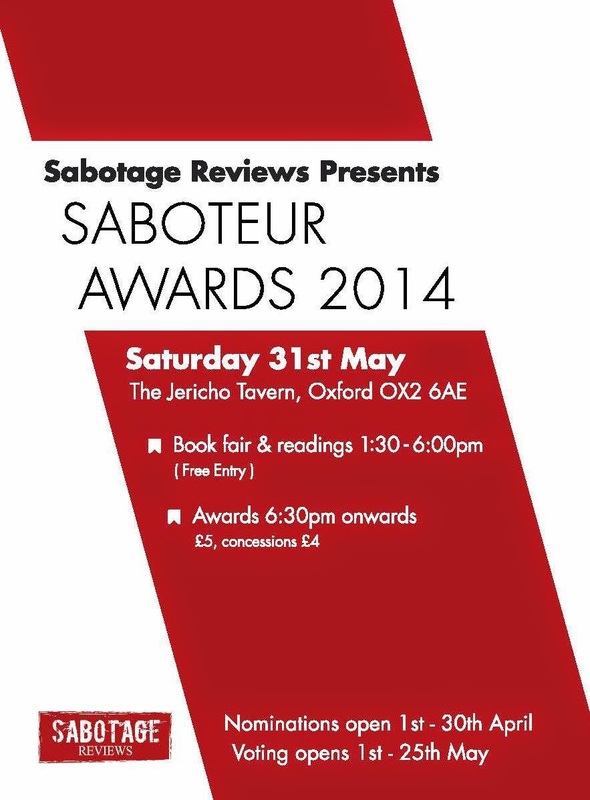 By the way, some of our anthology writers will be reading their work at our Cambridge event – see our dedicated blog page – and our garden festival. Sarah Baxter was born in Colchester and is the oldest of three daughters. She gained a First in Chemistry at Warwick University and a research career beckoned, before becoming impossible, when she realised she was allergic to solvents. After a spell in the Perthshire Highlands, Sarah returned to her birthplace where she discovered writing through adult education classes. In 2013, Sarah came third in the flash fiction category of The Bridport Prize. Sarah is currently working on her first novel. Her memoir The Girl I Left Behind is included in the anthology. Dani Redd grew up in the South West of England, studied English Literature at Queen Mary's University, and is currently a student on the MA Creative Writing Course at Norwich’s UEA. Dani has been shortlisted and placed in several short fiction competitions and most recently was longlisted for The Lightship Short Story Prize. She is currently working on her first novel, which is set on a fictional island within the arctic circle. Dani won Words And Women’s first writing competition with her wonderful short story My Sister’s Haircut. Elizabeth Reed is currently working on her first novel, an historical thriller set in 6th Century BC Delphi. Her previous writing has included educational and marketing materials, news articles, pop songs and - since attending two creative writing courses in the past year - short fiction. What seems like a long, long time ago she received a first class BA degree in English and Drama from Loughborough University and then studied for an MA in English and American Literature and Film in New York. After 20 years of living in London she returned to Norwich where she was born and raised and now divides her time between there and Gran Canaria where she occasionally works as a singer. Her slice of creative non-fiction This Picture Will Be Hidden is included in the anthology. 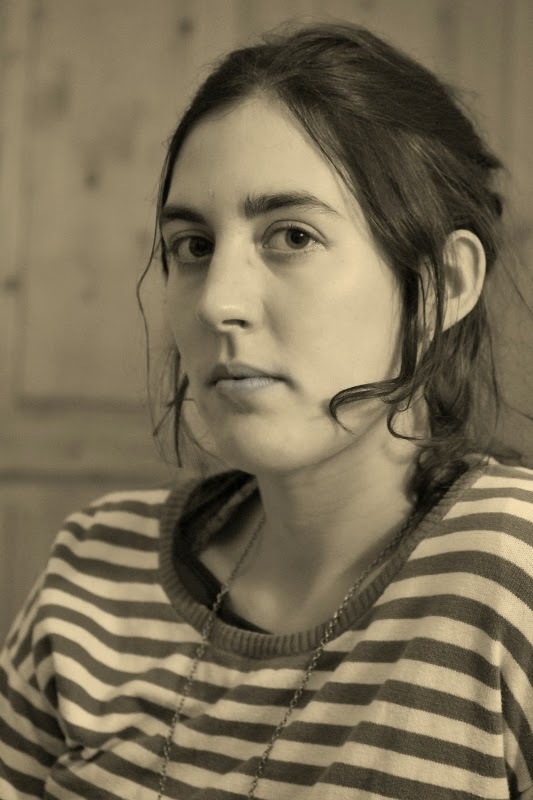 Bethany Settle has an MA in Creative Writing: Prose from the University of East Anglia. She remained in Norwich, where she works at a library. Reading, writing and nature are her top three best things. She is writer-in-residence at the Rumsey Wells pub in Norwich, and is currently writing a novel that explores grief and loss. Her story Pendulum is published in the anthology.